Hugh Martin V, beloved husband of Margaret Strecker Martin and father of Ann Martin Rolke (Bob) and Crista Martin (Lora), sailed into the horizon on October 5. Hugh was the only son of Lillian Isaacs Martin and Hugh Martin IV, and a proud member of the Isaacs clan, multi-generational farmers in Sussex County who raised chickens and planted hundreds of acres of pole beans, corn and peppers, among other crops. Hugh was born in an apple orchard on October 20, 1932, and grew up largely in Milford and Dover. He attended the University of Delaware, where he was a Sigma Nu, and then was drafted into the Army. After his military service, he worked on the family farm with his grandfather and his uncles Larry & Penn for many years. Eventually, he moved out of farming and into several related businesses, including cold storage for food. During Governor Russell Peterson’s term, Hugh served as the Secretary of Administrative Services and retained a staunch interest in Delaware politics. 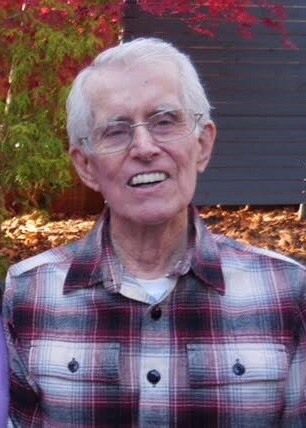 Hugh was a very engaged and dedicated volunteer to several organizations. He committed extensive efforts to both the Delaware and National Easter Seals and the Blood Bank of Delaware, ultimately holding board positions in both organizations. He was a passionate advocate for their work, and served many years advancing their causes. He played bridge with a core group of friends every Thursday for more than fifty years; avidly sailed and boated on the Delaware Bay; and gave his grandchildren, Anna and Eva, a deep and abiding love of Lewes Beach and their extended family and heritage. In lieu of flowers, donations in Hugh’s honor to Easterseals of Delaware and Maryland or Delaware Hospice are appreciated. Hugh loved to regale his many friends and family with stories, and his wife and daughters would love to hear your memories of him. The family will celebrate his life on Wednesday, October 10 at the Lewes Yacht Club, from 2-4pm. Family and friends are welcome.